Two important issues for companies’ sustainability are corporate governance and intellectual capital. This research is intended to test the relation between corporate governance, intellectual capital and companies’ performance. This is a quantitative research with archival data. The data is taken from Financial Reports and Annual Reports of Indonesia Public Company during 2011-2016. Corporate governance is measure using proportion of female director and public ownership. Intellectual capital indicators are CEE (Capital Employed Efficiency) and ICE (Intellectual Capital Efficiency). Companies’ performance construct are Tobin’s Q and Return on Assets (ROA) Data then analysed using Partial Least Square. The empirical results is as follows. First, Corporate Governance has positive effect on Intellectual Capital. Second, there is negative effect of Corporate Governance on Performance. 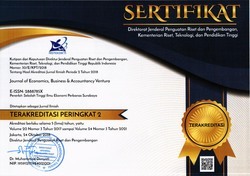 Third, Intellectual capital has no effect on firm’s performance. Fourth, Intellectual capital has no mediating effect to the the relation between corporate governance and company’s performance. This results are prove that Agency Theory is the better than Resources Based Theory to explain the Indonesia public companies condition. Alipour, M 2013, An Invvestigation of the Association between Ownership Structure and Corporate Performance: empirical evidence from Tehran Stock Exchange (TSE), Management Research Review Vol. 36, No. 1, pp. 1137-1166. Al-musali, MAKM and Ismail, NIK 2015, Board Diversity and Intellectual Capital Performance, Accounting Research Vol. 28, pp. 268-283. Appuhami, R, and Bhuyan, M 2015, Examining the Influence of Corporate Governance on Intellectual Capital Efficiency, Managerial Auditing Journal Vol. 30 Issue 4/5, pp. 347-372. Baron, RM and Kenny, D 1986, The Moderator-Mediator Variable Distinction in Social Psychological Research: Conceptual, Strategic, and Statistical Considerations, Journal of Personality and Social Psychology, 51, 1173-1182. Barus, SH and Siregar, SV 2014, The Effect of Intellectual Capital Disclosure on Cost of Capital: Evidence from Technology Intensive Firms in Indonesia, Journal of Economics, Business & Accountancy Ventura Vol. 17, No. 3 December, pp. 333-344. Cabrita, MR and Bontis, N 2008, Intellectual Capital & Business Performance in The Portuguese Bankin Industry, International Journal Technologi Management Vol. 43, No. 1-3. Dzenopoljac, V, Yaachoub, C, Elkanj, N, and Bontis, N 2017, Impact of Intellectual Capital on Corporate Performance: Evidence from the Arab Region, Journal of Intellectual Capital https://doi.org/10.1108/JIC-01-2017-0014. Faccio, M, Marchica, MT, and Mura, R, 2016, CEO Gender, Corporate Risk-Taking, and the Efficiency of Capital Allocation, Journal of Corporate Finance, http://dx.doi.org/10.1016/j.jcorpfin.2016.02.008. Firer, S, and Williams, SM 2003, Intellectual capital and traditional measures of corporate performance, Journal of Intellectual Capital. Vol. 4 No. 3. pp. 348-360. Hair Jr, JF, Black, WC, Babin, BJ, Anderson, RE, 2013. Multivariate Data Analysis, Seventh Edition, Pearson Education Limited, London. Haji, AA and Ghazali, NAM, 2013, A Longitudinal Examination of Intellectual Capital Disclosure and Corporate Governance attributes in Malaysia, Asian Review Accounting Vol. 21, Issue, pp. 27-52. Hamdan, A 2018, Intellectual Capital and Firm Performance: Differentiating between Accounting –Based and Market-Based Performance, International Journal of Islamic and Middle Eastern Finance and Management, http://dx.doi.org/10.1108/IMEFM-02-2017-0053. Jensen, MC and Meckling, WH 1976, Theory of the Firm: Managerial behavior, Agency Cost and Ownership Structure, Journal of Financial Economics 3: 305-360. Kagzi, M and Gua, M 2017, Does Board Demographic Diversity Influence Firm Performnace? 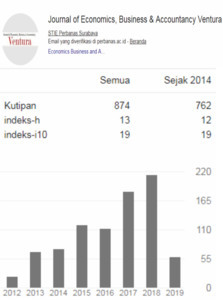 Evidence from Indoan Knowledge Intensive Firms, Benchmarking: An International Journal. https://doi.org/10.1108/BIJ-07-2017-0203. Marzo, G 2014, Improving Internal Consistency in IC research and Practice: IC and the Theory of the Firm, Journal of Intellectual Capital 15: 1, pp. 38-64. Muttakin, MB, Khan, A, Belal, AR 2015, Intellectual Capital Disclosures and Corporate Governance: An Empirical Examination, Advances in Accounting, Incorporating Advances in International Accounting, http://dx.doi.org/10.1016/j.adiac.2015.09.002. Nadeem, M, De Silva, T, Gan, C, Zaman, R 2017, Boardroom Gender Diversity and intellectual Capital Efficiency: Evidence from China, Pacific Accounting Review Vol. 29, Issue: 4, pp. 590-615. Nimtrakoon, S 2015, The Relationship between Intellectual Capital, Firms’ Market Value and Financial Performance: Empirical Evidence from the ASEAN, Journal of Intellectual Capital, Vol. 16 Issue: 3, pp. 587-618. Nkundabanyanga, Korutaro, S, Ntayi, JM, Ahiauzu, A, and Sejjaaka, S 2014, Intellectual Capital in Ugandan Service Firms as Mediator of Board Governance and Firm Performance, African Journal of Economic and Management Studies Vol. 5 Issue 3, pp. 300-340. Pulic, A 1998, Measuring the performance of Intellectual Potentail in Knowledge Economy, Proceeding McMaster World Congress on Measuring and Managing Intellectual Capital by the Austrian Team for Intellectual Potential. Pulic, A 2000, VAICTM – An Accounting Tool for IC Management, International Journal Technology Management, Vol. 20, NOS. 5/6/7/8, pp. 702-714. Ramadhanti, W and Indrayanto, A 2016, Pengujian Power Theory pada Skema Remunerasi Pimpinan Puncak Perusahaan Publik di Indonesia, Jurnal Aplikasi Manajemen 14 No. 4, pp. 667-674. Riahi-Belkaoiu, A 2003, Intellectual capital and firm performance of US multinational firms: a study of the resource-based and stakeholder views, Journal of Intellectual Capital. Vol. 4 No. 2. pp. 215-226. Tojedo-Romero, F, Rodrigues, LL, Craig, R 2017, Women Directors and Disclosure of Intellectual Capital, European Research on Management and Business Economics 23: 123-131. Ulum, I, Karismawati, N, and Syam, D 2017, Modified Value-Added Intellectual Coefficient (MVAIC) and Tradition Financial Performance of Indonesian Biggest Companies, International and Intellectual Capital, Vol. 14, No. 3, pp. 207-219. Utama, CA, Utama, S, Amrullah, F 2017, Corporate Governance and Ownership Structure: Indonesia Evidence, The International Journal of Business in Society, Vol. 17, Issue 2, pp. 165-191.